The Oasis 24 is a high-end Euro design with the benefit of a 50mm memory foam layer under quality knitted ticking. 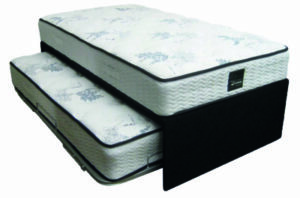 Full edge support completments the 3 Zone Hi-Gauge heat tempered pocket spring system. 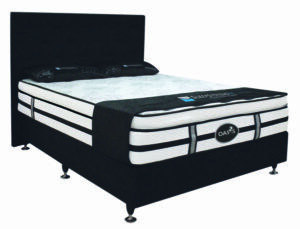 The Oasis 30 features a Full Euro-Top containing high density foam and 50mm of Natural Latex for healthy comfort. Below is the 3 Zone Hi-Gauge heat tempered pocket spring core with full edge-to-edge support. The Oasis 36 features a Euro-Top containing 50mm each of Natural Latex and Memory Foam. 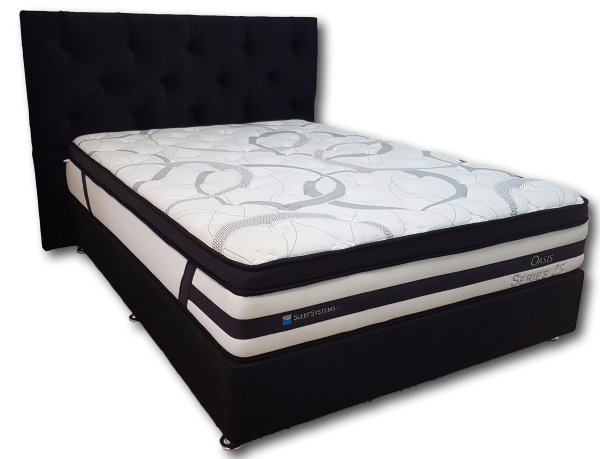 It has a 3 Zone Hi-Gauge heat tempered pocket spring core and full edge support, along with our proven Tack and Jump quilting for superior comfort. The Oasis 15 Mattress has a 200mm Tri-Zone pocket spring core with Tack and Jump quilting, quality knitted ticking and full foam edge support. Individual heat tempered springs giv e firm support with high density foam layers adding supportive long lasting comfort. 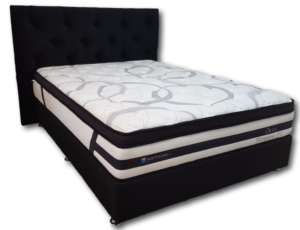 The Oasis 20 Mattress contains our trusted Tri-Zone 200mm pocket spring core and a Natural Latex Pillow top. 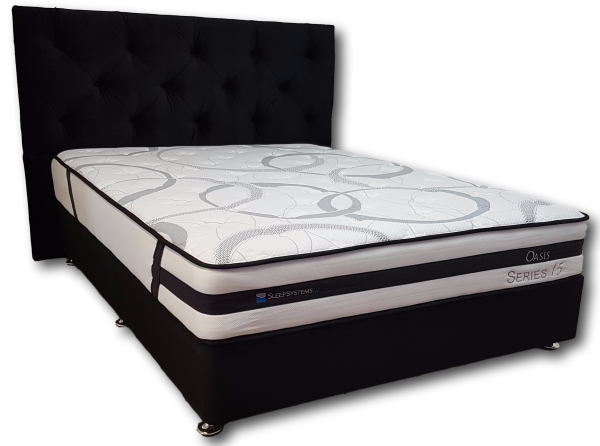 Quality knitted ticking and full foam edge support surrounds layers of high density foams and Natural Latex to give you a quality medium feel sleeping surface. The Oasis 25 Mattress uses the Tri-Zone 200mm heat tempered individual pocket spring system. Siz comfort layers, including 50mm of Memory foam and Natural latex deliver ultimate postural support from within the Euro Box Top. 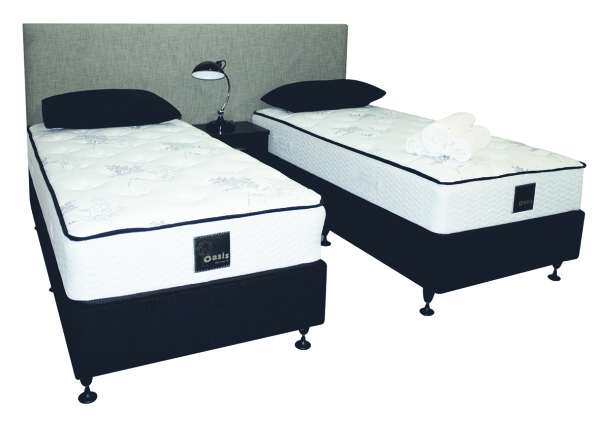 Covered in high quality knitted ticking the Oasis 25 Plush provides comfort and support at a new level. The clever storage design is easy to use and maximises floor space. 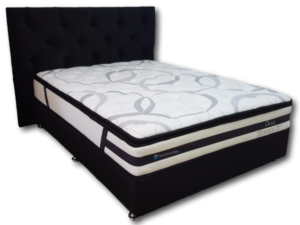 Utilise your rooms with greater flexibility with the zip together option which changes a Super King into two Long Singles. Two individual beds can be joined together when necessary with a zup to make one super comfortable sleep surface with reduced partner disturbance.